Self-consolidating concrete is a highly flowable type of concrete that spreads into the form without the need for mechanical vibration. Self-compacting concrete is a non-segregating concrete that is placed by means of its own weight. The importance of self-compacting concrete is that maintains all concrete’s durability and characteristics, meeting expected performance requirements. Self-compacting concrete produces resistance to segregation by using mineral fillers or fines and using special admixtures. Self-consolidating concrete is required to flow and fill special forms under its own weight, it shall be flowable enough to pass through highly reinforced areas, and must be able to avoid aggregate segregation. This type of concrete must meet special project requirements in terms of placement and flow. Self-compacting concrete with a similar water cement or cement binder ratio will usually have a slightly higher strength compared with traditional vibrated concrete, due to the lack of vibration giving an improved interface between the aggregate and hardened paste. The concrete mix of SCC must be placed at a relatively higher velocity than that of regular concrete. Self-compacting concrete has been placed at heights taller than 5 meters without aggregate segregation. It can also be used in areas with normal and congested reinforcement, with aggregates as large as 2 inches. Minimizes voids on highly reinforced areas. Allows for easier pumping procedure. Allows for innovative architectural features. It is recommended for deep sections or long-span applications. Produces a wider variety of placement techniques. Long haul distances can reduce flowability of self-compacting concrete. 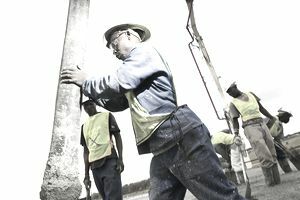 Delays on job site could affect the concrete mix design performance. Job site water addition to Self-Compacting Concrete may not always yield the expected increase in flowability and could cause stability problems. A full capacity mixer of self-compacting concrete might not be feasible due to potential spillage along the road, producing environmental and contamination hazards. Formwork should be designed to withstand the fluid concrete pressure that will be higher than regular concrete. Self-Consolidating Concrete may have to be placed in lifts in taller elements. Production of SCC requires more experience and care than the conventional vibrated concrete. Self-consolidating concrete can add up to $50 per yards to your construction costs. This cost will vary among ready-mix concrete producers.